Peter Higgs receives Copley Medal, world’s oldest scientific prize. 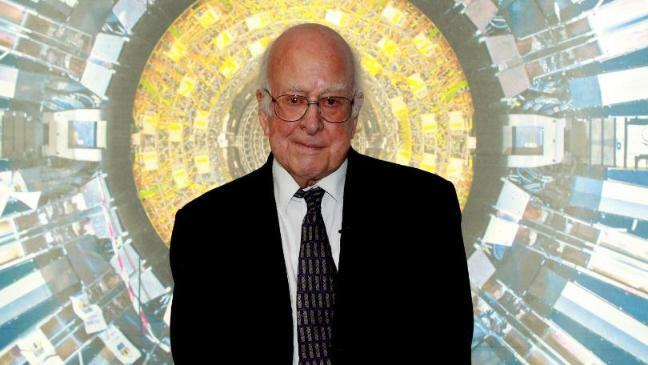 i. Nobel prize winner Peter Higgs has joined the ranks of Charles Darwin and Albert Einstein by winning the world’s oldest scientific prize, the Royal Society’s Copley Medal, for his pioneering work on the theory of the Higgs boson, which was discovered in 2012.
ii. 86-year-old Higgs received the Copley Medal for his fundamental contribution to particle physics with his theory explaining the origin of mass in elementary particles, confirmed by the experiments at the Large Hadron Collider. iii. The Copley medal was first awarded by the Royal Society in 1731, 170 years before the first Nobel Prize. iv. It is awarded for outstanding achievements in scientific research and has most recently been awarded to eminent scientists such as theoretical physicist Stephen Hawking, DNA fingerprinting pioneer Alec Jeffreys and Andre Geim, for his discovery of graphene. v. In 1964, Higgs proposed a theory about the existence of a particle that explains why these other particles have a mass. ← Ajay Mathur appointed as Director-General of TERI.